I've played a lot of games across the years. And by a lot, I mean A LOT of games. And because of this, I have a lot of games I would deem to be my favorite games! But as with anything, I try to sum up some to be my absolute favorites, but that's a very difficult task. Having started from a very young age, I had a controller in my hands by influence from friends, my father, and a lot of other figures that I just couldn't put them back down! And through that, I've gained so much experience from gaming that it made me who I am today. Games, to me, taught me important lessons, either in understanding words and their meanings, moral choices, and critical thinking. They taught me problem solving skills that I can implement into all kinds of work, and taught me about rewards systems and how they should be implemented for motivational purposes to keep going. Out of all of the games I've played though, there are quite a few that stand out to me as being some of my absolute favorite games. And I've done blog posts about various games for certain genres, however I have never done a post about what my personal favorites are across all genres, so I figure I can take that opportunity now! For all sakes and purposes, I am considering all games from the oldest systems that exist to current, and I'm giving more favor to games that I grew up with, and considering I was born in 1995, I'll have grown up with a lot of these games. I will be excluding online games/MMORPG's, just cause there are way too many of those that I've played, however honorable mention does go towards Runescape and World of Warcraft for these. But without further ado, here are my top 5 games that I consider to be great by my own personal opinion! To start things right, I love JRPG's. And what better way to express that than with a Final Fantasy game?! So don't get me wrong. I love almost every single Final Fantasy to date minus Crystal Chronicles for Gamecube and Final Fantasy XIII for a multitude of reasons, but some of them like VII and VIII are still beloved by me, but are just not the pinnacle of greatness that I have come to expect from the series. 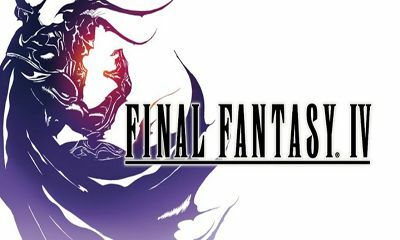 One of the first games I ever picked up was Final Fantasy III and IV, and I must say that Final Fantasy IV is definitely one of my favorite games of all time. My experience ranges from the original for the SNES and the remake for DS (which I was actually able to pick up a copy at gamestop a couple days ago which I'm really really REALLY happy about! ), and there are so many things that I remember fondly of the game. The musical score has always been one of the key elements that I've experienced, giving me a really fond nostalgic vibe and feeling of power when it comes to the battles and the like. I love the characters, particularly the development of Cecil the Dark Knight turned Paladin, Kain the Dragoon, and my favorite summoner of all time, Rydia. Palom and Porom will always be there in my heart especially after their sacrifice and how useful they were in battle. Honestly, it was one of the first games I've picked up that I thoroughly enjoyed the story to, and established my love for the Final Fantasy series and JRPG's as a genre. After having played Pokemon Red and Yellow versions at a very early age, the next game I was to pick up would be Pokemon Gold version, and then Crystal at a later date. Now when I picked these up though, I thought they were really cool because of the day/night cycle, and that the Johto region was something new and exciting, as I was also following along with the Pokemon anime when it would come up on Kids WB back a long time ago! What these games brought to the table though were new typings, a new region, the ability to go back to Kanto after the completion of the initial game, and so much more! And what Heart Gold and Soul Silver did, was make it infinitely better. Now some of my favorite Pokemon of all time are either Dark or Steel types. This list includes Umbreon and Skarmory, which were introduced in Generation 2, so I can be thankful for that! But one of the most memorable things in my entire time of playing Pokemon was this trainer named Red at the top of Mount Silver. Now when I was a little kid, I looked up to Ash Ketchum because I grew up with the show, but I always wondered why Ash looked weird in the old games, where he wasn't even featured on the box art. It wasn't until a few years later that I really delved into who Pokemon Trainer Red was, and I was blown away to say the least. I became very familiar with the Pokemon Adventures manga, and also all of the work and accomplishments that Red did (where the short spin-off Pokemon Origins is amazing in this regards, at least in sake of the old games), and that made it even cooler to fight this guy at the top of the mountain. Now he's a hard trainer. A REALLY hard trainer, as he boasts the strongest team that I could ever fight from an NPC, but it's so hyped and cool to go up to the top of the mountain, he faces you and acknowledges your presence, and then the battle commences. Now in Pokemon Heart Gold and Soul Silver, his theme is absolutely amazing (even if he does need to share it with Lance in the Pokemon League) but regardless, it sent chills down my spine as I fought him the first time. Long story short though, this game introduced some of my favorite Pokemon, gave me a run for my money with trying the Nuzlocke challenge when I still chose Cyndaquil as my starter and lost him so many times to Whitney and her Milktank, gave me a nostalgic experience of fighting the old gym leaders again, fighting Red, and was just amazing in general! Psychonauts was one of those games that I didn't really know much about it when I first started the game, rather it was just one of those games that my friends recommended me to play and I was able to rent it at a Blockbuster way back in the day. Now this game was really really weird, but it was a very interesting kind of weird. It pushed the boundaries of what a game could/should be at that time, and showed off a bunch of really cool concepts and platforming techniques that I haven't seen a 3D platformer do the same in a very long time. Raz is an interesting character, but everyone else looks like they popped out of a nightmare, where it's actually fitting considering you fight nightmares and delve into the dreams of others to eventually reach this goal of being this psychic superhero called a psychonaut. Just playing the game gives so much experience and exposure to a lot of things that I wouldn't have been able to otherwise, such as delving into the realms of psychological effects of your upbringing and how some things may be locked away or perceived differently based on your experiences (both good and bad). Insanity is one such case, but you're able to help many others by sorting out their thoughts and their memories and combating their inner demons. Looking at it from this kind of perspective really made me think about what was going on inside of my head and the heads of others, minus the really funny dialogue, humor, and the like. After hearing that Psychonauts 2 is in production though.. I'm ready to go on a trip through the mind again! So I love practically every single Legend of Zelda game, with exceptions of Zelda II and the CD-i sets, but one game that has stuck out for me so much was Majora's Mask. Honestly the reason why I love Majora's Mask as much as I do can be summed up to childhood experiences and then new found realizations of the world of Termina. 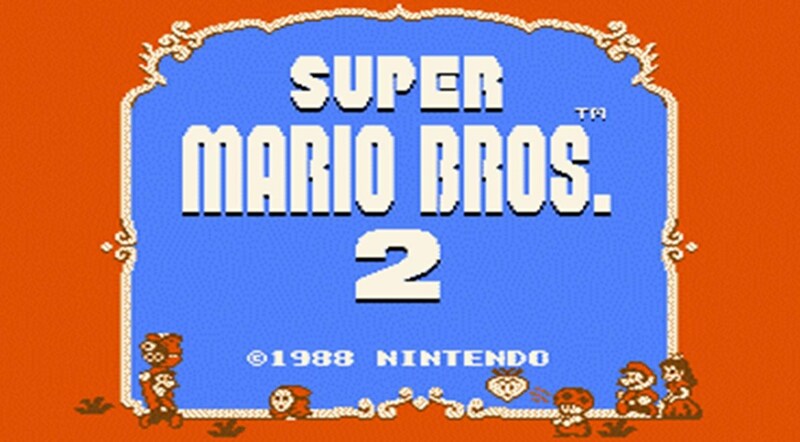 So with childhood experiences, this game kind of scarred me as a kid. No joke either. This game is dark for all sakes of the genre, and it made me scared more often than not because I either didn't understand the themes, or the fact that there was so much death and sadness surrounding this world that it made it difficult to progress. Namely this would be apparent in every single region across Termina, whether it be Clock Town, Ikana Canyon, Great Bay, whichever. But looking back on it, this darkness and everything surrounding the game makes it beautiful in my own opinion. There is so much darkness and death surrounding every corner here, yet we can stand as the beacon of light to break the chain that is the 3 day cycle until the end of the world as we know it. We have this threat, always looming overhead, the moon, on a crash course into the heart of town on the end of the third day. It's scary, hell it's horrifying to think that this threat is always overhead and you only have 3 days to evacuate or do something to stop it! There is so much theory and lore surrounding the entirety of these regions that someone could speed through the game and lose out on so much that the game has to offer. This would be apparent in the origins of Majora's Mask, the identity of the hidden race that used to worship this deity, the presence of the Stone Tower and it's reference to the biblical Tower of Babel, and so much more! From an analytical perspective, this game has so much depth and story to offer that it makes it so interesting just to look through and play again and again! Which has set it's place in my heart aside from what I perceive as scary scenes from when I was a kid! Because it's won game of the year 15 years in a row. It's a beautiful platformer that reminds me of some of the recent Rayman Games but much more fluid. The music is phenomenal, the story is really interesting, and the concept is just so cool that it's a beautiful masterpiece in my eyes. I wouldn't expect too much from a 2D platformer, but this game blew me away with the ability to traverse the terrain and fight enemies in ways I would never think of. There are so many secrets and different ways to combat obstacles, and the fear I felt when faced with the main antagonist, it was incredible. The whole game is tied together with absolutely incredible visuals and simplistic gameplay tied in with complex puzzles and this quest to save your home in mind. The musical score is incredible throughout the whole course, hyping up the escape sequences or making the zone seem even more ominous than it should be. This game was one that I couldn't put down and I played it from beginning to end in one sitting, and completed it again just to experience the story once again. I highly recommend it, along with every single other game on my list, where they're all incredible, but these are just some of my top 5's throughout the years.